The Commercial Kitchen Equipment Specialist! Our technicians are available 24 hours a day, 7 days a week, for all your maintenance and repair needs. Our team works on electric, gas and steam appliances. 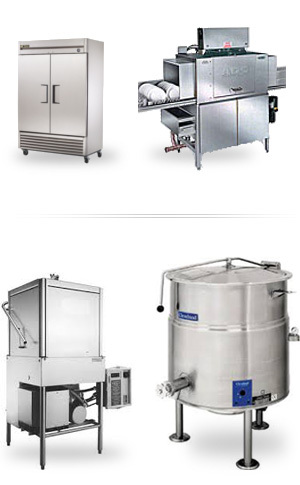 Entrust all your kitchen equipment to our professionals. Service Gibeault has been in business specializing in commercial kitchen equipment (electric, gas and steam) maintenance and repair since 1979. We offer an emergency service 24/7. We have a fleet of technicians specialized in gas, electricity, steam and cold room structure and refrigeration specialists. We are proud to offer our services at competitive hourly rates. We serve the Greater Montreal region, including Laval, the Lower Laurentians, Lanaudière, the South Shore, etc. We are recognized as an authorized service centre by major manufacturers. Our mission is to ensure your complete satisfaction. We offer a 30 day warranty on labour and 90 days on parts.